Wake up! Your SLEEP is KILLING YOU!!! 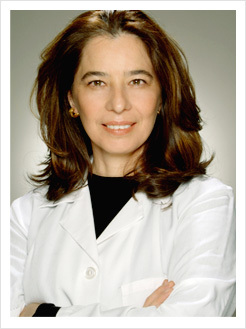 Providing patients with the very best of dentistry, Dr Martha Cortes will exceed your every expectation. Dr. Cortés is at the forefront of the dentistry arena and is best suited to care for your oral situation. You are always considered our first priority. Our highly motivated and experienced team will ensure your dental visit is an enjoyable one. We look forward to caring for you. Utilizing only the best methods and materials suited to your general well being, we will help you restore your health, whilst enhancing the appearance of your smile. For practicing medical and and dental professionals who are not yet members of our International Advanced Education Academy, please click here to register online now. For a premier dental experience and exceptional results, contact Martha Cortés DDS at Cortés Advanced Dentistry today. We look forward to caring for your smile. Do you have a question about your dental treatment? Dr. Cortés is here to help. Dr. Cortés can help you achieve a stunningly beautiful smile. Explore Dr. Cortés master website. Effective sleep apnea treatment from one of Manhattan’s finest. Visit our Sleep Dentistry website. Gum disease is the most common infectious disease in the world. Visit our Laser Dentistry website. We recognize the connection between your oral health & general well-being. Visit our Natural Dentistry website. Do you want to ensure your child has a lifetime of healthy smiles ahead of them? Visit our Kid’s website. Do you experience constant headaches, jaw pain or clicking & popping of the jaw? Visit our TMJ website.